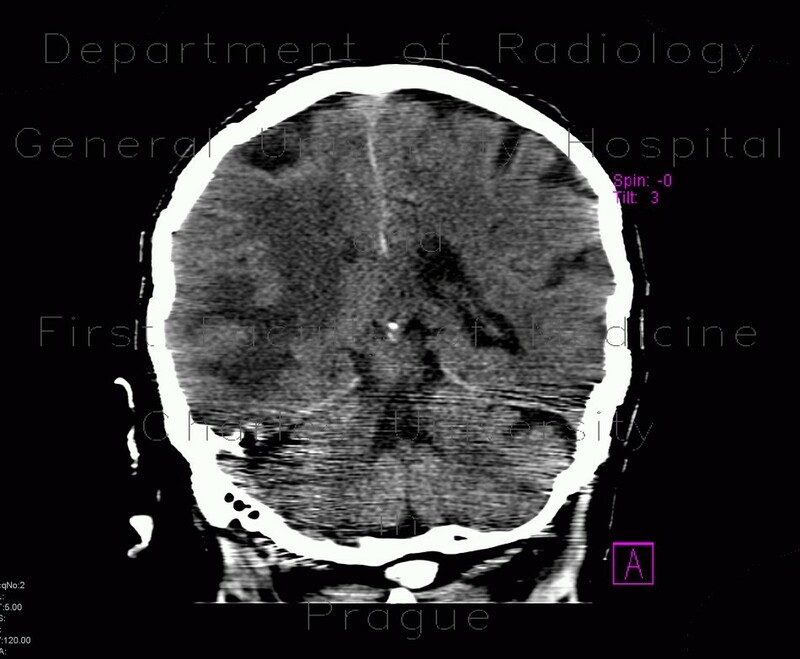 Cytotoxic edema is confined to white matter and spares cortex. Sulci of right hemisphere are effaced and right lateral ventricle is compressed. These changes affect areas supplied by the middle cerebral artery.